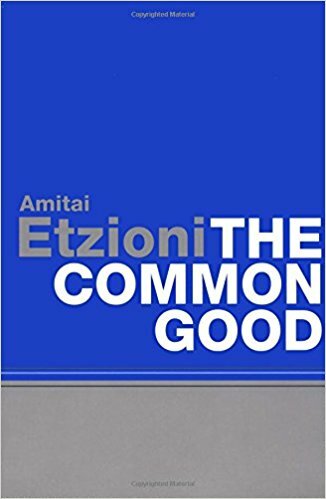 In this book, Amitai Etzioni, public intellectual and leading proponent of communitarian values, defends the view that no society can flourish without a shared obligation to “the common good.” Rejecting claims made by some liberal thinkers that it is not possible to balance individual rights with uncoerced civic responsibility, Etzioni explores a number of key issues which pose important questions for those concerned with promoting the common good in contemporary society. Are we morally obliged to do more for our communities beyond treating everyone as endowed with basic rights? Should privacy be regarded not merely as a right but also as an obligation? And should the right to free speech take priority over the need to protect children from harmful material in the media and on the internet? Etzioni asks how we can strike a healthy balance between individual rights and public safety in an age of global terrorism. He evaluates various new government devices, from wiretaps to viruses, which open our lives to public scrutiny. Particular attention is given to the issues surrounding government-issued DNA tests. The book concludes by questioning whether we can still talk of a relationship between the common good and the nation-state, or whether the “online” society in which we live will make it increasingly difficult to maintain those communities which are the very homeland of the common good. This new book, by one of the world’s leading social and political thinkers, will be important reading for students and scholars of political science, social philosophy, sociology, and public policy, as well as for the interested general reader.